TO A NEW VIRTUAL HARD DISK at the end. 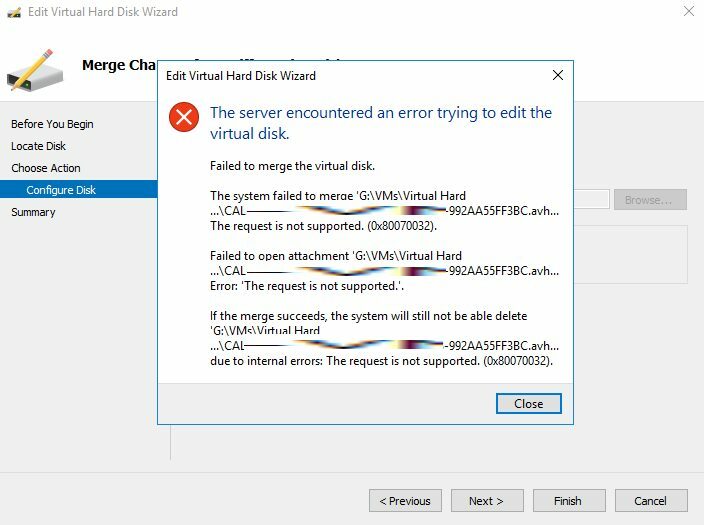 Once that is done, you will have to delete the old VM and recreate it pointing to this merged VHDX. 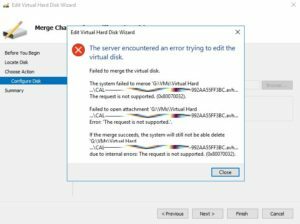 If you try to just change the VM’s SETTINGS > VIRTUAL HARD DISK to point to the new VHDX you will see it errors out with a MERGES PENDING message. Remember that you can do all of this using PowerShell if you want. See THIS Microsoft Merge VHDX article for details.